This card cannot be Special Summoned. When this card attacks with an attk that is higher than the DEF of an defense postion Monster, inflist the differance as battle damage to your opponent's Life Poi.. This card cannot be Special Summoned. The effects of your opponent's Effect Monster that his monster destroys as a result of battle are negated. 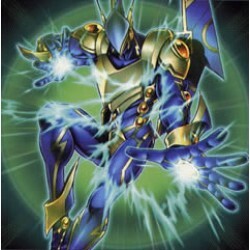 If this card attacks, your opponent cannot activate any.. If this card was Special Summoned by the effect of "Ultimate Insect LV5" as long as this card remains face-up on your side of the field, decrease the ATK and DEF of all your opponent's monsters by 700.. Copyright © 2018, Deckboosters, All Rights Reserved.